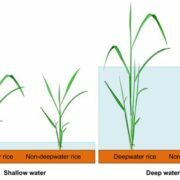 Plants can’t move to avoid unfavorable growth conditions, such as insufficient water availability or extremes of temperature. 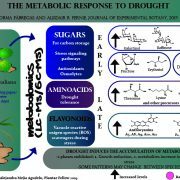 When plants are confronted with stressful environmental conditions, you may not see any changes, but plants are busily responding, often by synthesizing new proteins to help them survive. Proteins are major workhorses in all cells. Proteins help capture light for photosynthesis or act as enzymes to produce the sugars in fruits or the components of wood. 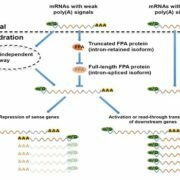 In unfavorable environments, whole new sets of proteins can be made that provide plants with the ability to counteract the stress. 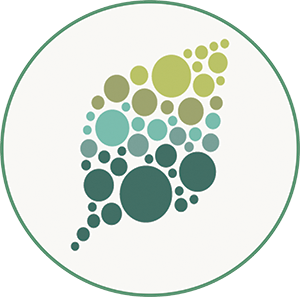 We can observe this important response to the environment biochemically, measuring changes in the plant’s synthesis of new proteins, a process known as translation. Translation occurs in cells on specialized structures called ribosomes and requires many accessory proteins called translation factors. Zhang et al. 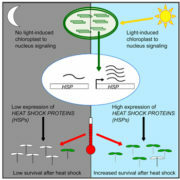 were interested in better understanding how plants produce the proteins they need to survive extreme high temperature. 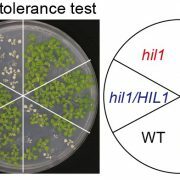 They worked with a specific mutant (a plant carrying a defective gene) of the model plant Arabidopsis thaliana that did not survive high temperature. The defective gene responsible for the plant’s inability to survive turned out to encode a translation factor called eIF5B. 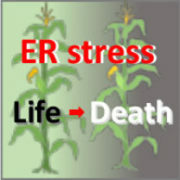 Analysis of the eIF5B mutant plants demonstrated that synthesis of new proteins must occur immediately after exposure to a high temperature stress. If delayed even a few hours, plant survival is compromised. In addition, active eIF5B is required for plants under optimal conditions, reflecting the importance of protein translation for normal plant growth and development. Finally, results suggested eIF5B may be required for translation of specific proteins, rather than working the same in production of all proteins. 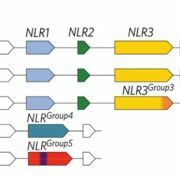 These data underscore the significance of controlling translation to produce new proteins during stress conditions in plants. 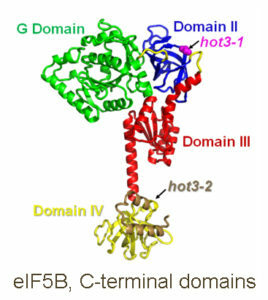 They also provide the first information about how the translation factor eIF5B acts in plants, and suggest new questions about eIF5B function. 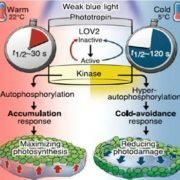 Understanding how translation is regulated to counteract temperature and other environmental stresses may allow development of more stress-resistant plant varieties. Zhang, L., Liu, X., Gaikwad, K., Kou, X., Wang, F., Tian, X., Xin, M., Ni, Z., Sun, Q., Peng, H., and Vierling, E. (2017) Mutations in eIF5B Confer Thermosensitive and Pleiotropic Phenotypes via Translation Defects in Arabidopsis thaliana. Plant Cell 29: 1952-1969.